Join the Fairfax County Tree Commission to learn about the benefits of trees, current issues facing our trees, tree pests and diseases, and great native trees for homeowners. Sponsor tables will have additional information on tree care. Free and open to everyone. More information. Citizen scientists throughout the Washington DC metro area will be participating in the 2018 City Nature Challenge, a competition among 60 cities around the world to find and document the diversity of species. No experience required—just a mobile device and a love for nature. Participants will make observations of wild plants and animals using the free iNaturalist app (for Android or Apple). Why get involved? By participating, you’ll not only get out and see some great urban nature, you’ll help scientists collect data on the biodiversity of our region (and the planet). City Nature Challenge contributors are invited to join the species ID event at the Smithsonian’s Natural History Museum on Monday, 30. To sign up for an event, create an event, and learn more, click here. Get ready to look at stormwater in a totally different way. George Mason University’s Dr. Jennifer Sklarew, of the Department of Environmental Science and Policy, and STEAM Undergraduates for Renewable Energy will be placing two hydropower micro-turbines in the stormwater network on GMU’s Fairfax campus. Coupling the turbines with battery storage, the project will analyze the potential for small-scale clean power applications on a university campus, for use in cell phone charging stations and emergency lighting. This project will contribute to Mason’s sustainability goals and it is hoped that the lessons learned from this project can create other uses for this renewed energy source in other ways. Join Fairfax Master Naturalists and Friends of Dyke Marsh for a talk by Georgetown University biologist Dr. Leslie Reis. She will discuss butterflies, their host plants, and how both are responding to climate change. Summarizing her work with the monarch, the Baltimore checkerspot, and the silver-spotted skipper, Dr. Reis will show how she builds on work by citizen scientists such as Jim Waggener, who has contributed 25 years of data on behalf of the Audubon Society of Northern Virginia at the Occoquan Bay National Wildlife Refuge. Come learn how a favorite songbird, the Eastern Bluebird, lives and breeds right in our community and how volunteers have helped this bird come back. There are about 80 bluebird trails which house at least three bluebird houses each, in Fairfax County. 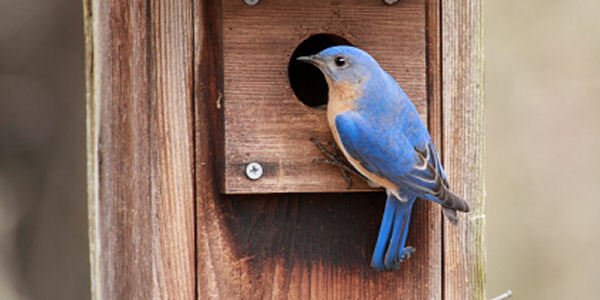 The Virginia Bluebird Society is seeking volunteers to monitor these houses. This presentation will include information about what is involved in monitoring and how you can help this species. Sponsored by the Virginia Native Plant Society, this program is free and open to the public. Rod Simmons is a plant ecologist, with a background in biology and geology, who has extensively surveyed the flora and natural communities of the mid-Atlantic region, especially the inner Coastal Plain and Piedmont of the greater Washington, D.C. area. He is a Research Associate with the National Museum of Natural History, Smithsonian Institution; a member of the Virginia Botanical Associates; and works closely with the Virginia and Maryland natural heritage programs. He is the Natural Resource Manager and Plant Ecologist for the City of Alexandria, Virginia. Semi-open conditions along woodland edges and openings give rise to a diverse suite of light-demanding native flora. A variety of habitats that occur in woodland edges and openings will be presented, including meadowy areas, seepage wetlands, stream banks, rocky outcrops, and others. Simmons will also discuss best management practices , including non-native invasive plant threats and control. 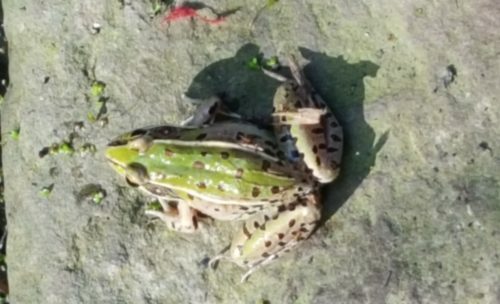 Vernal pools are seasonal wetlands, rare ecological features that provide essential habitat for a variety of living beings, including frogs and salamanders. They are vulnerable to a variety of threats associated with human impact. Michael Hayslett (Virginia Vernal Pools LLC), a state expert on vernal pools, will lead the tours. He is conducting an inventory of the pools as part of an initiative for Fairfax County Park Authority and is being aided by the Friends of Accotink Creek. For more information, contact Kris Unger at krisunger@gmail.com, or 301-980-5621. Learn about the behavior of Canada geese, effective goose management techniques (egg oiling, border collies, exclusion techniques), community case studies and regulations. Volunteers should plan to make a commitment to survey a minimum of one park during the egg laying season. Please join the Virginia Native Plant Society for a one-day workshop that celebrates Virginia’s trees and woodlands. The workshop will begin with a review of tree biology and ecology and a review of some of the recent research on what trees are doing. It will move on to the topic of interactions with other organisms, specifically birds and insects. Finally it will explore two Virginia forests – the longleaf pine of the coastal areas, and an old age mountain forest. The Virginia Native Plant Society is planning two extended field trips for your wildflower viewing. 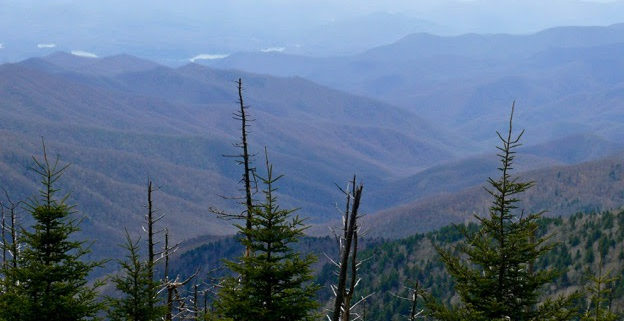 Sign up for a heavenly week-long excursion – either in April, for a trip to the Great Smokies; or in June for a trip to Virginia’s Balsam Mountains. See details and register here.